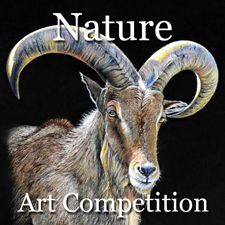 Light Space & Time Online Art Gallery announces an art call for the gallery’s 5th Annual “Nature” Juried Art Competition for the month of July 2015. The gallery invites all 2D and 3D artists (including photography) from around the world to make online submissions for possible inclusion in to the Gallery’s August 2015 online group art exhibition. Light Space & Time encourages entries from artists regardless of where they reside and regardless of their experience or education in the art field to send the gallery their best interpretation of the theme “Nature” by depicting the physical world and is considered to be anything that was not created by or has been substantially altered by man. Subjects that would encompass the “Nature” theme would include geographical subjects, landscapes, natural objects, wildlife and natural environments. The deadline to apply to this art competition is July 27, 2015.